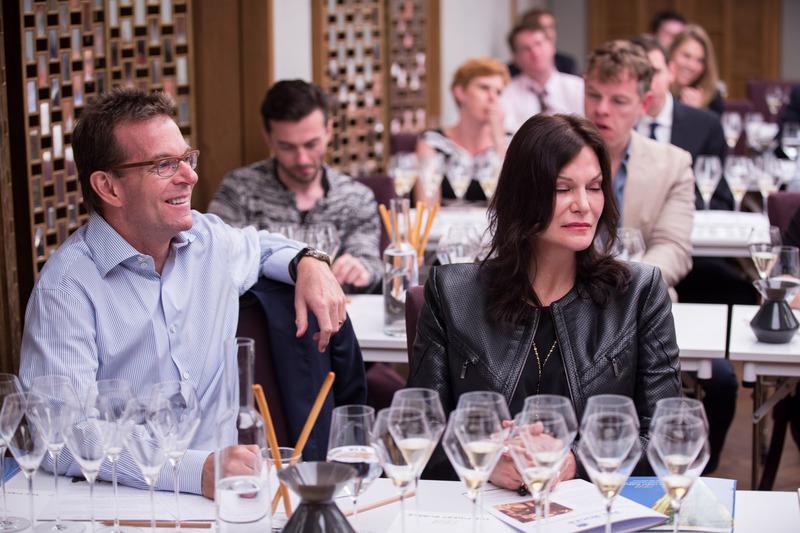 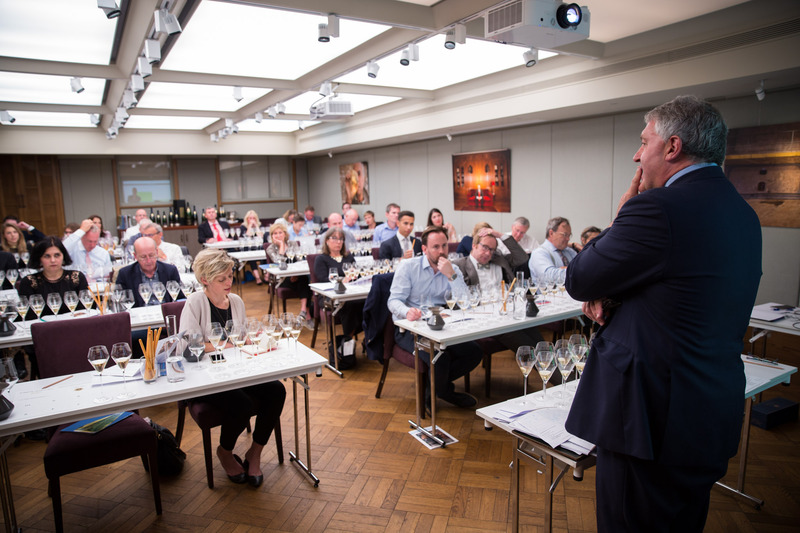 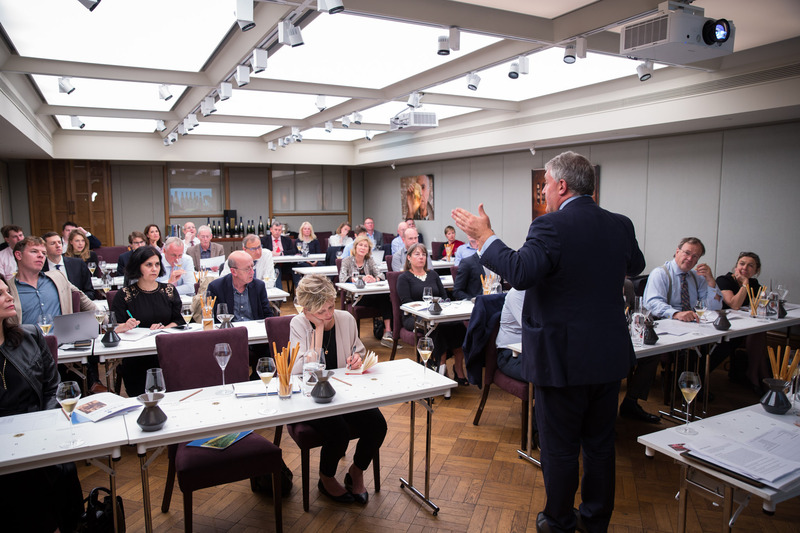 Wednesday 29th June and we are all gathered at 67 Pall Mall again for another greatly anticipated tasting. This time we were all eagerly awaiting a flight of Pol Roger Sir Winston Churchill, seven vintages to be precise and ten different champagnes. 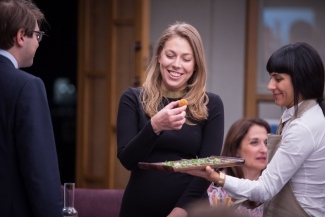 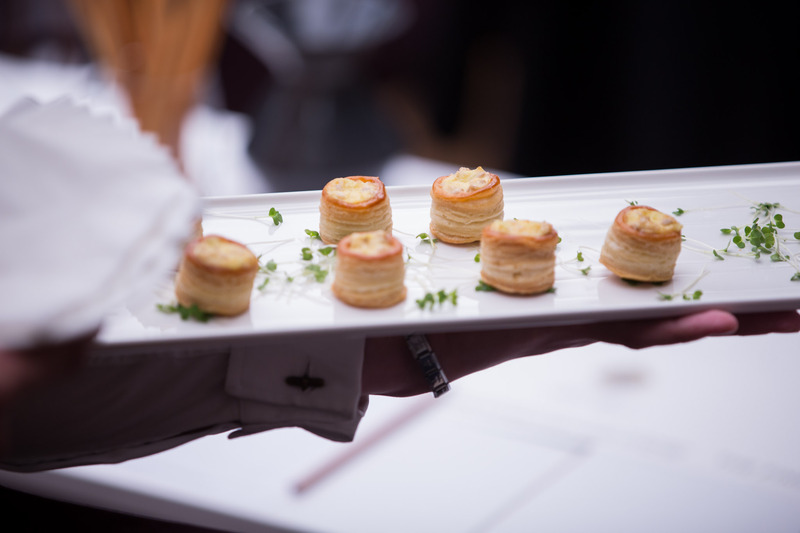 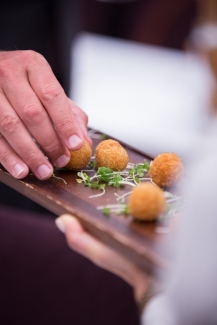 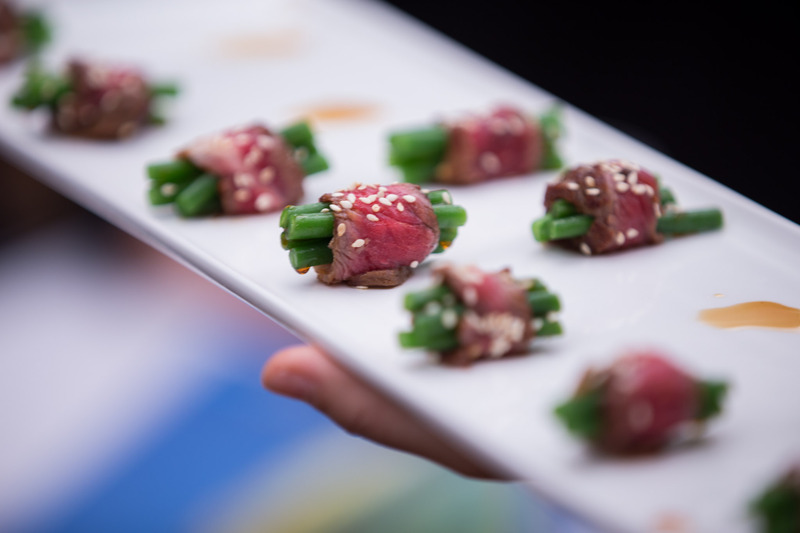 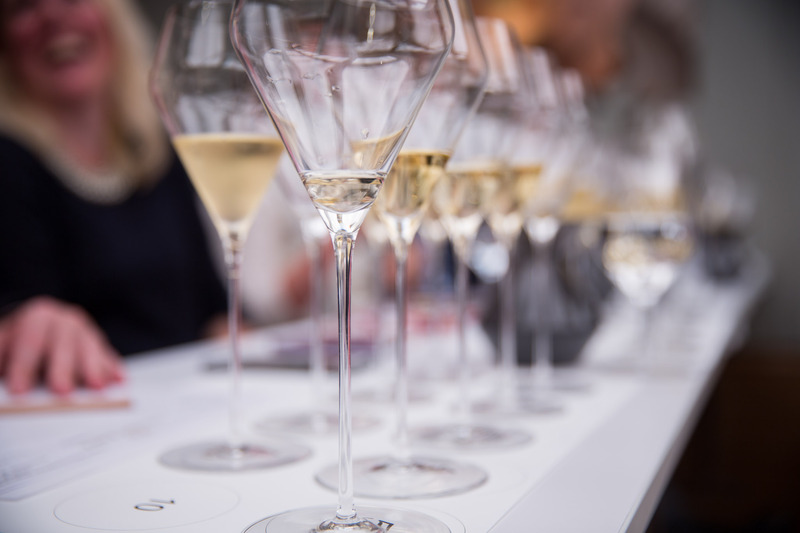 We were handed a glass of the non-vintage champagne to whet our appetite along with some delicious canapés that matched the champagne perfectly. 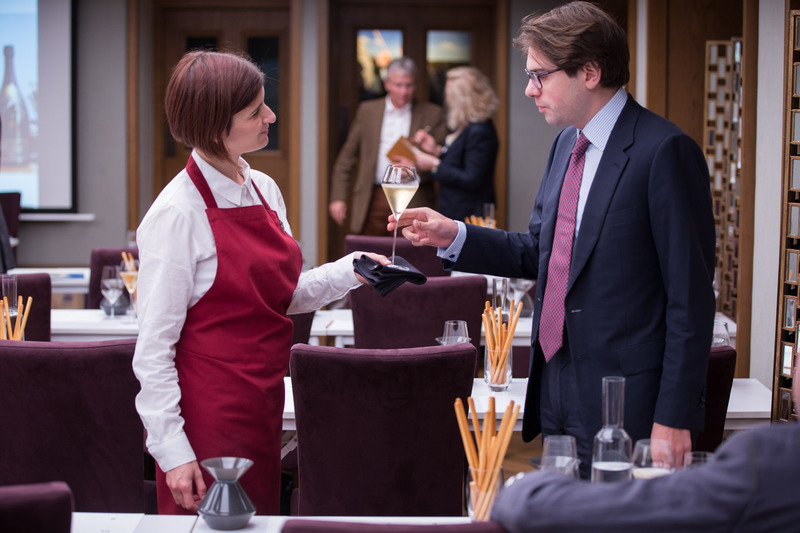 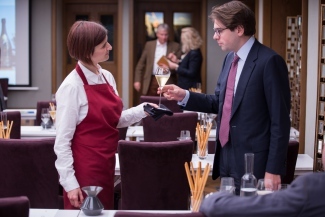 Time to take our places and the first two champagnes were served by the sommelier team. 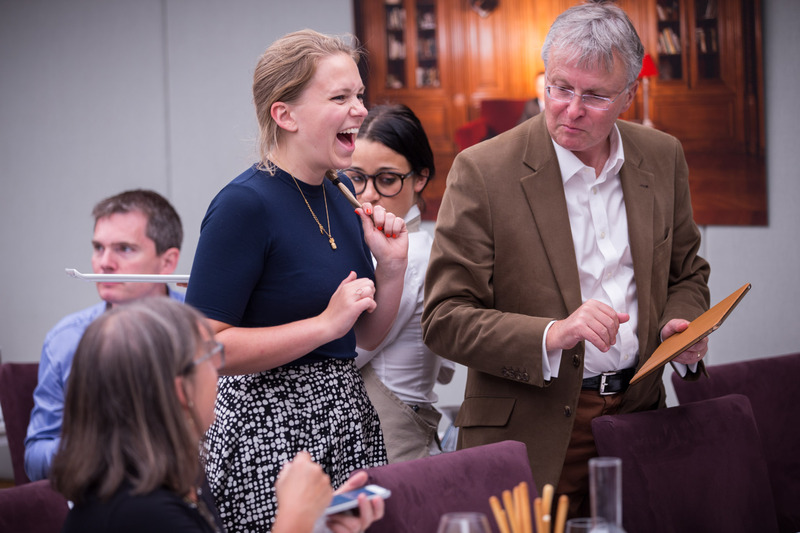 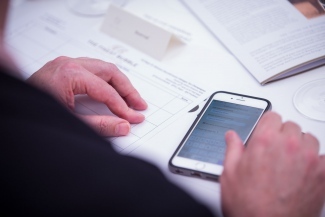 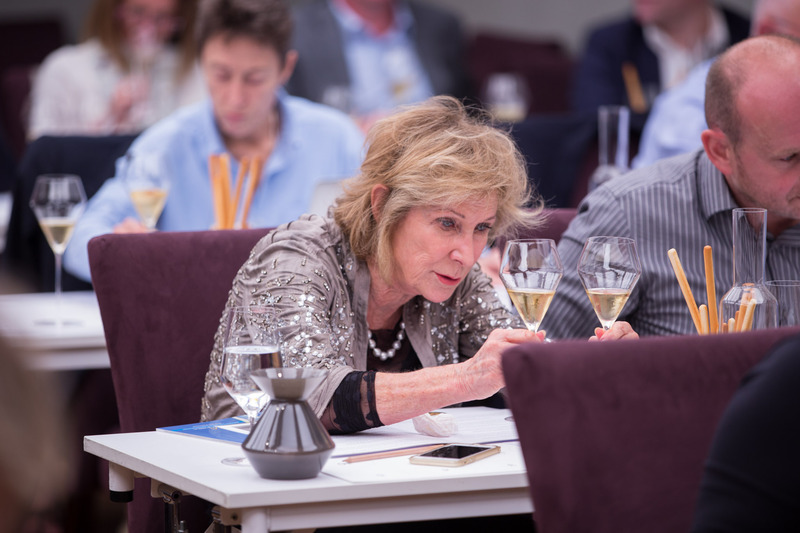 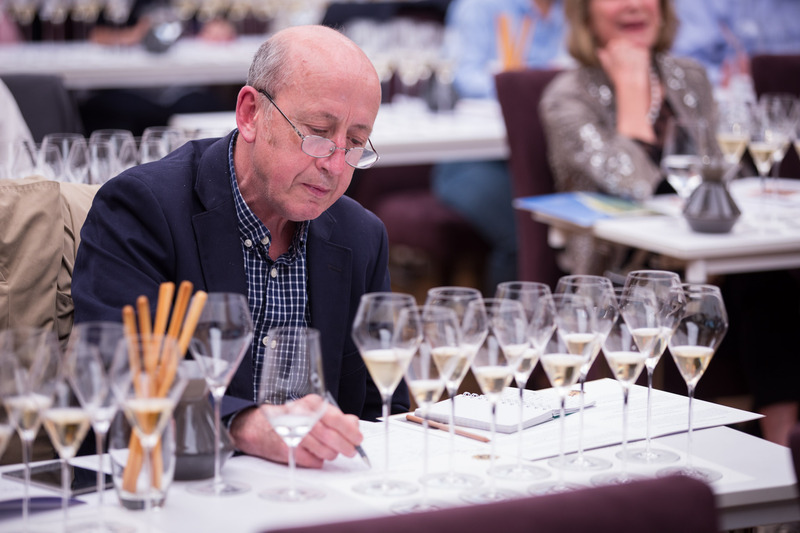 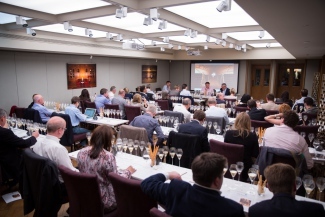 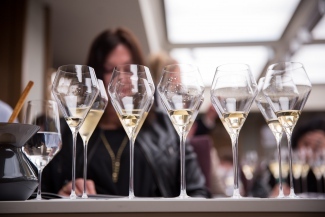 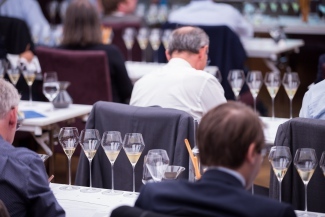 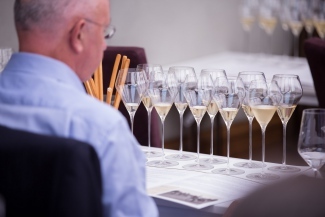 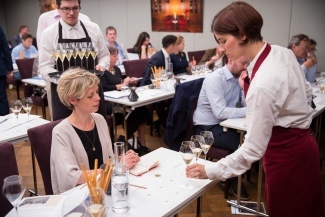 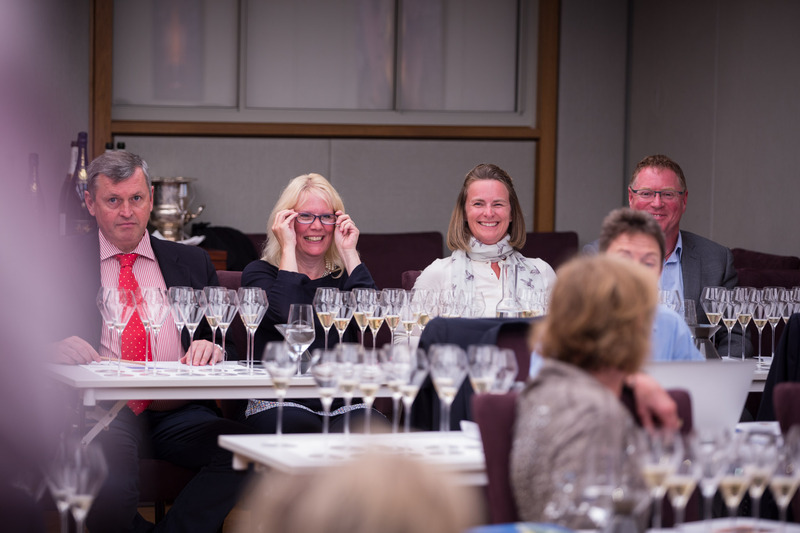 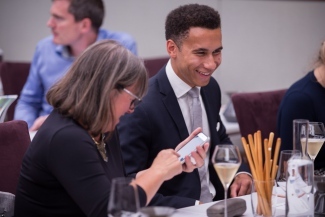 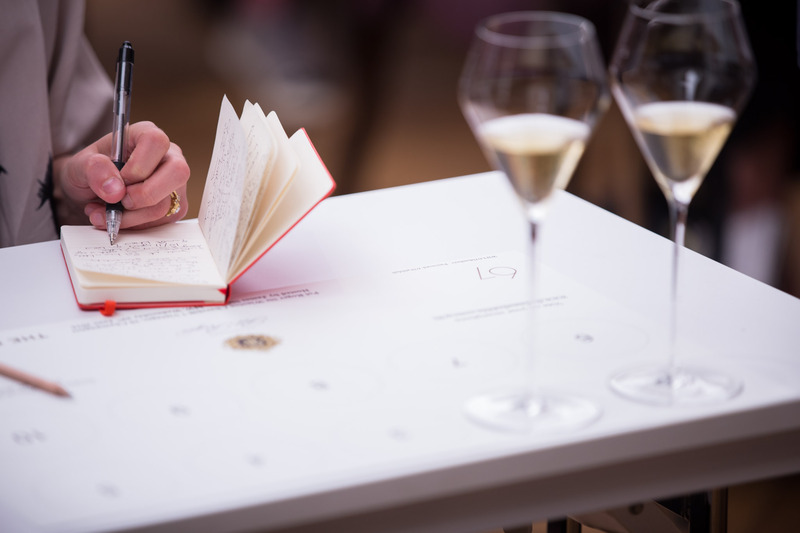 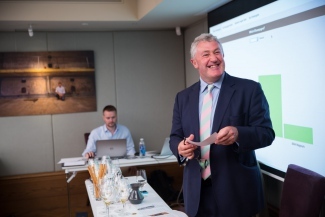 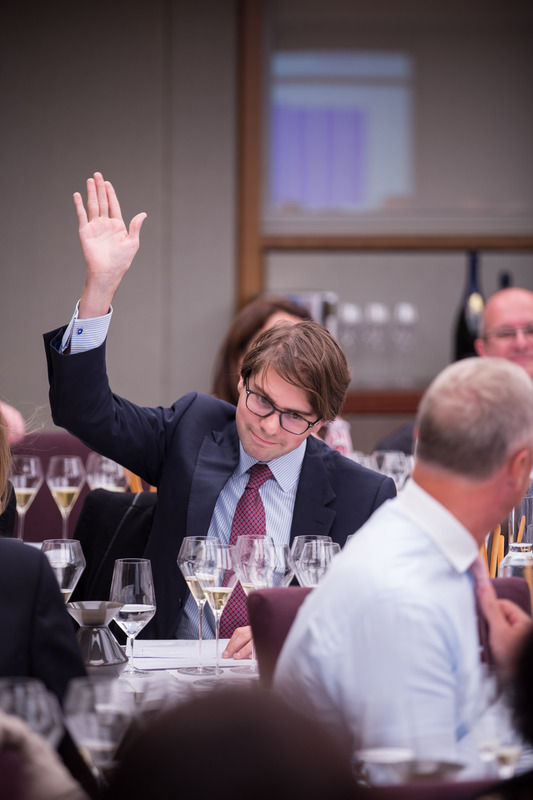 As with the other tutored tastings TFB organised, the champagnes were given to us blind and we were asked to guess the vintage and the bottle size and log our guesses onto the live scoring system on our smart-phones. 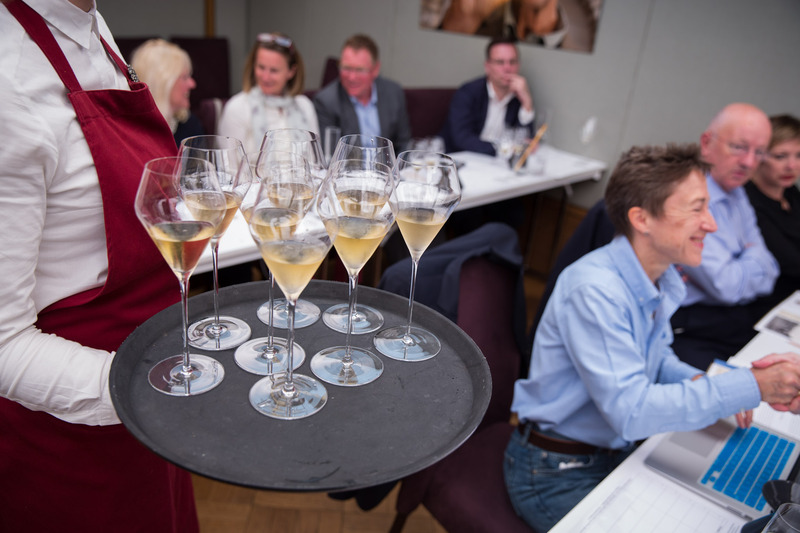 This was the beginning of the evening and with ten different champagnes to choose from, it was a mind-bendingly hard task, especially with different size formats and only two champagnes to compare with one another. 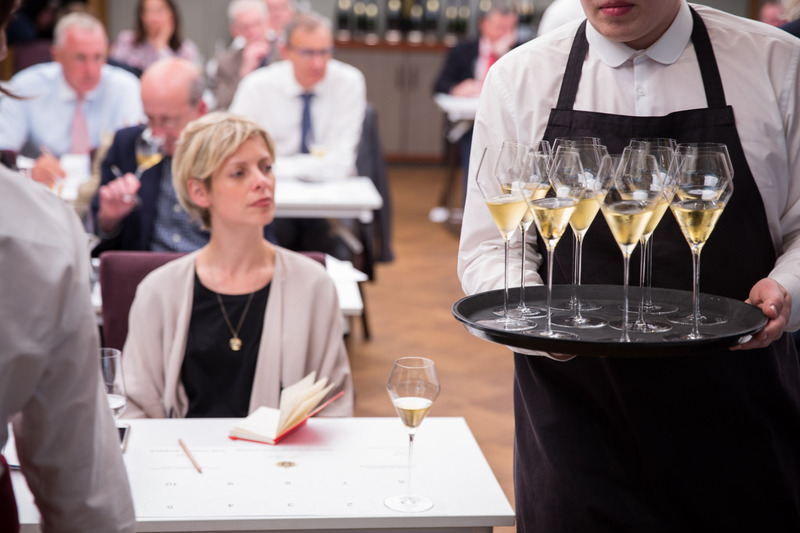 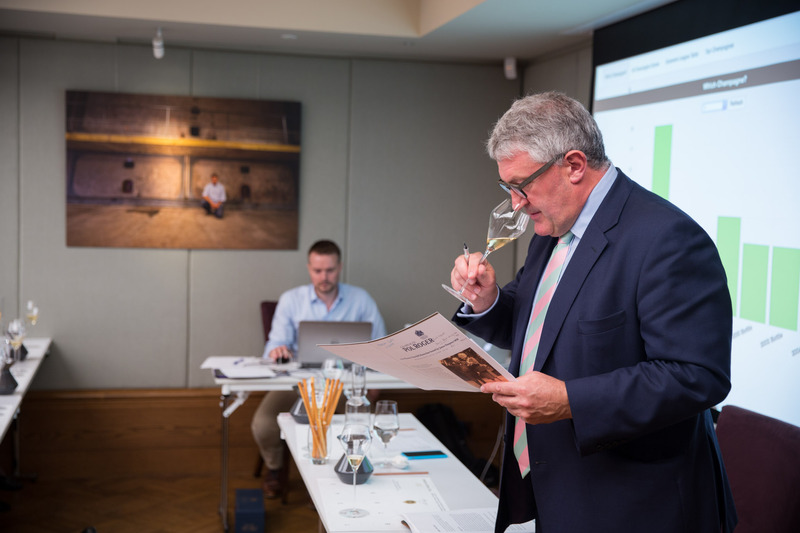 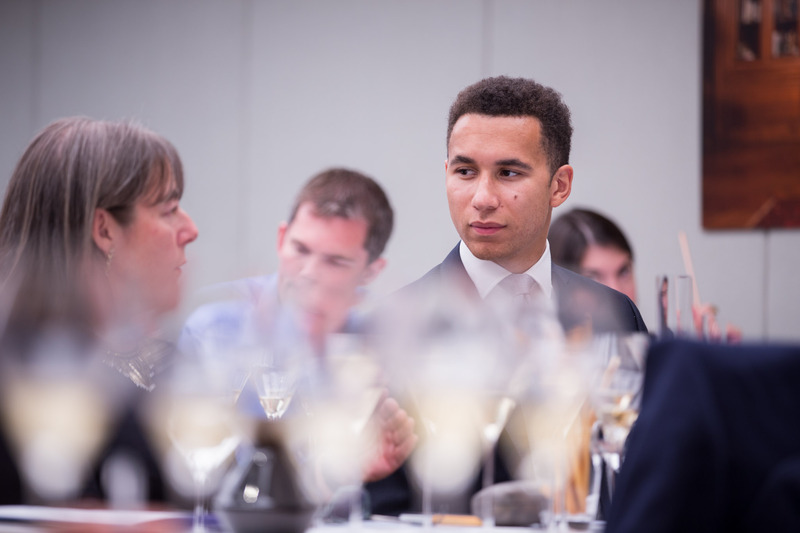 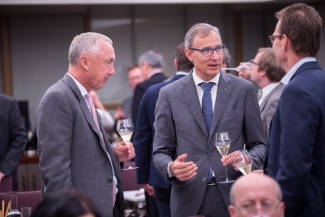 The first champagne was slightly darker in colour than the second and showed some slightly more mature notes on the nose and indeed on the palate. 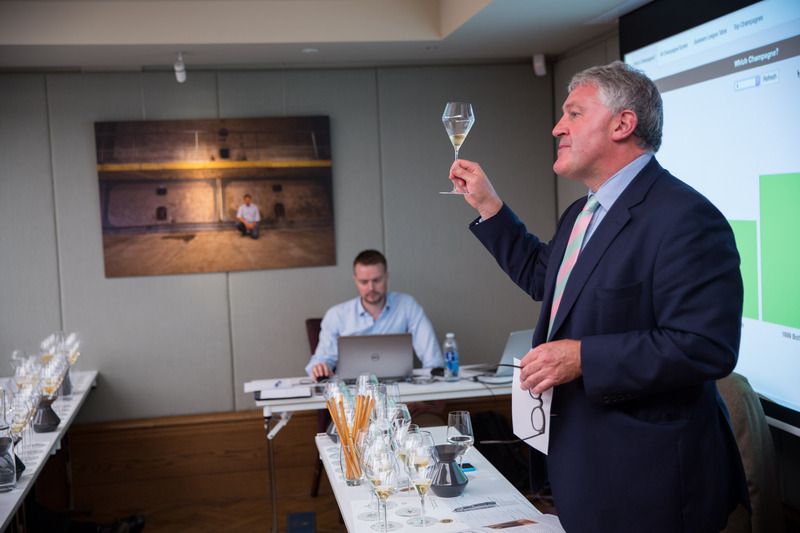 In the mouth there were apple and toffee flavours with good length and a long finish. The second champagne showed more youthful notes on the nose with lots of lemon and vanilla custard. 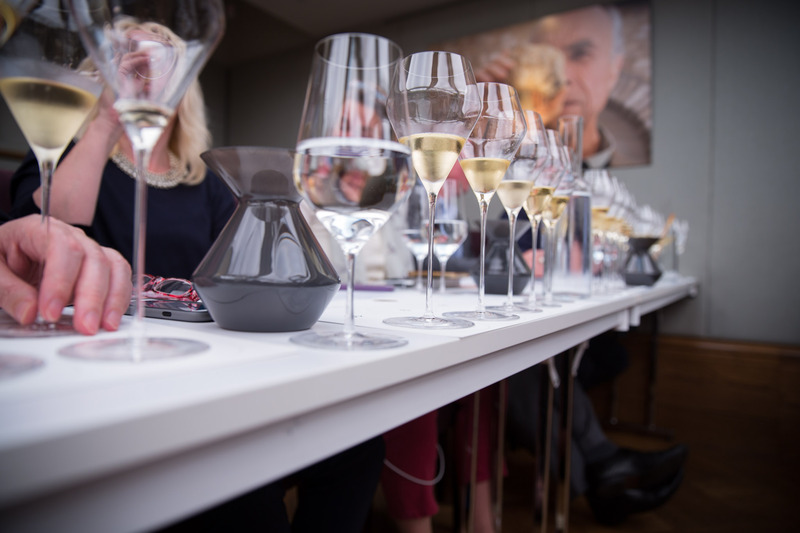 On the palate it had bright acidity and loads of fruit. 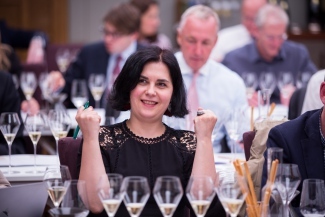 Ok now to the voting, I have to admit I thought the first champagne was a bottle of 2000 and the second was a bottle of the 2004 as it had slightly more youthful notes. 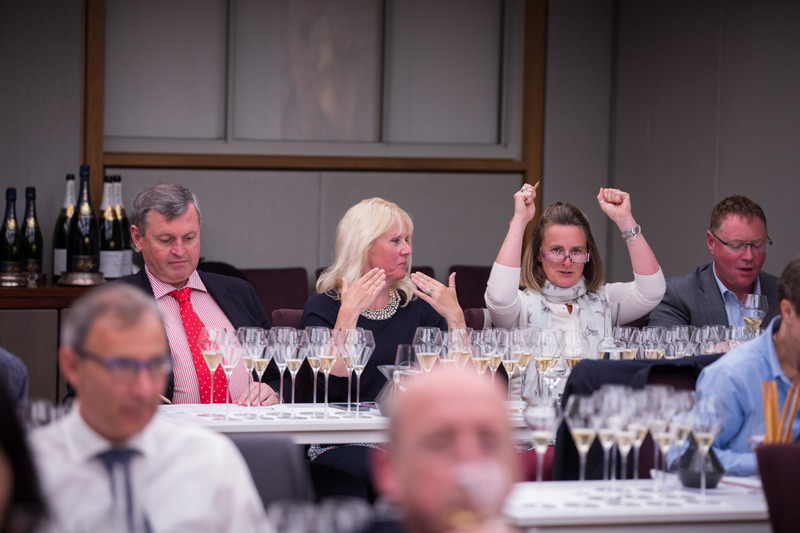 When the results were revealed I had guessed the first champagne correctly as the bottle of 2000, but the second champagne was in fact vintage 2000 in Magnum! 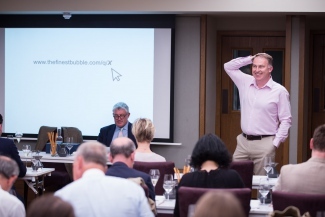 Oops, perhaps I should have spotted that one. The Magnum was so much more youthful on the palate, had bags more fruit with superb acidity and length, it really did appear to be a much younger and more richly flavoured champagne. 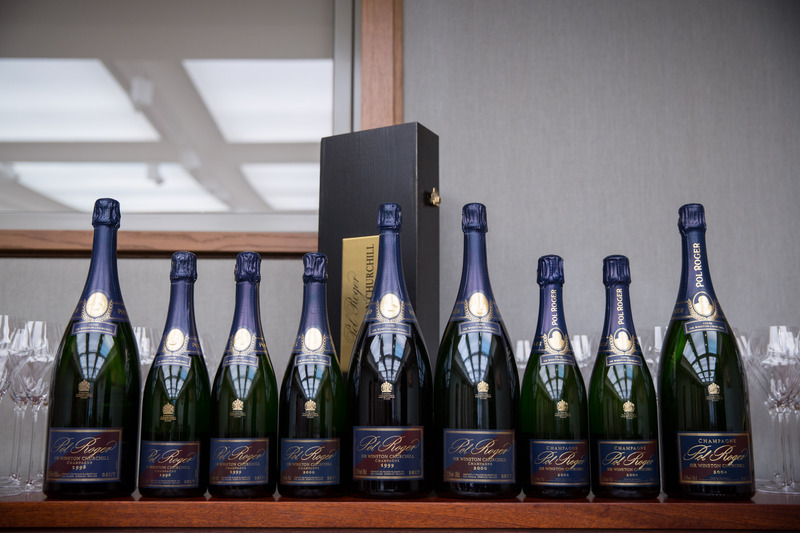 The results of the voting showed that the majority of guests thought that champagne 1 was the 1996 Bottle followed closely by the 1988 Jeroboam and the 2000 Bottle. 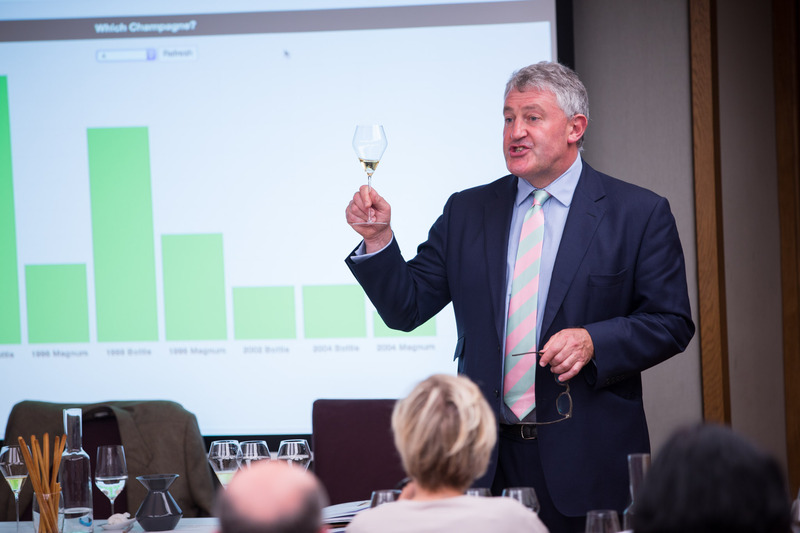 champagne 2 was thought to be either the 1998 Magnum or the 2004 Magnum. 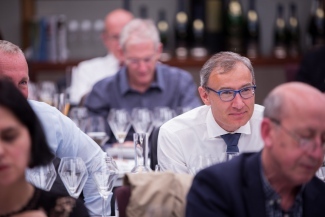 The next two champagnes were very different; the first one was very bright and youthful in appearance and on the palate. 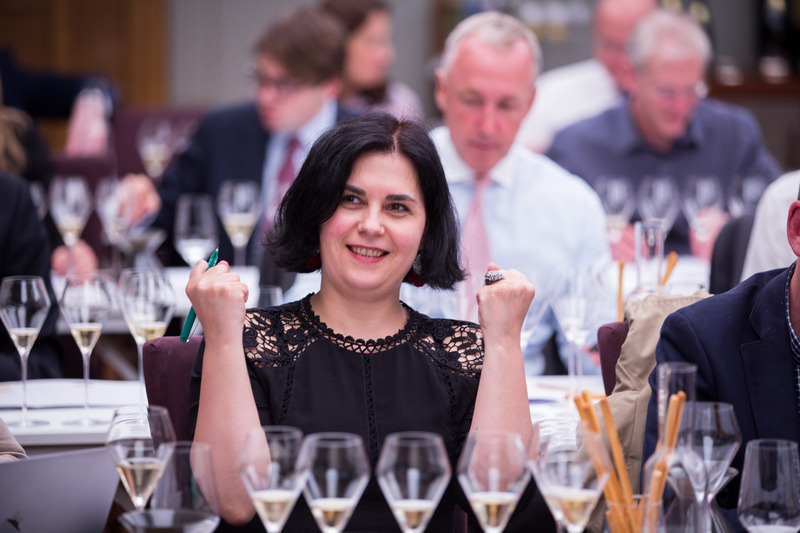 It had excellent freshness and persistence in the mouth, with notes of acacia honey and citrus underpinned by a fine thread of acidity. 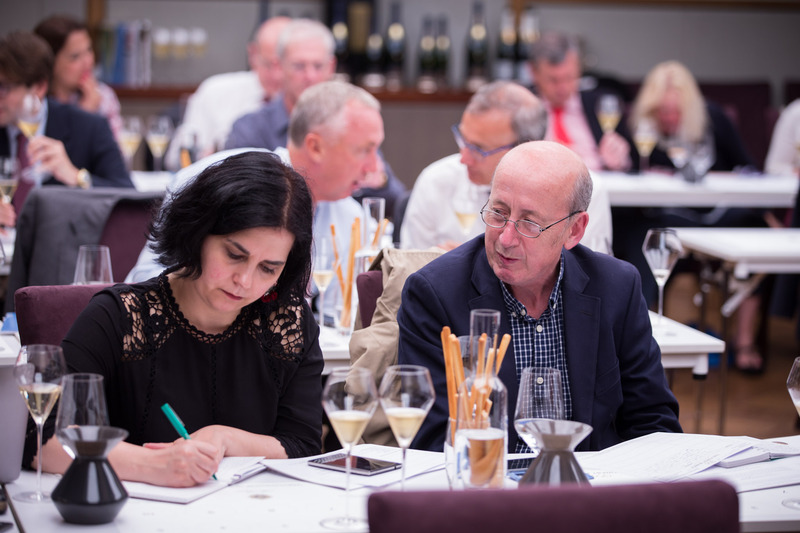 Whereas champagne 4 was much darker in colour with a very advanced, older nose with heaps of brioche and toast and some honeyed characters. This might be a little easier to guess, or not. This time I think we might actually have the 2004 bottle in our midst and the 4th champagne is showing so much age that it has to be the 1996, doesn’t it? Fantastic guessing here, the champagnes were exactly right, helped obviously by the process of elimination. This time it appeared to be a little easier for people as the largest vote for champagne 3 was for it being 2004 bottle and for champagne 4 the 1996 bottle. By this point you would think that it would be getting easier, but I think with the different bottle sizes it wasn’t by any stretch of the imagination a walk in the park. Even with 4 champagnes down the answer wasn’t forthcoming. Champagne 5 is quite straw like in colour with a slightly pink hue to it. 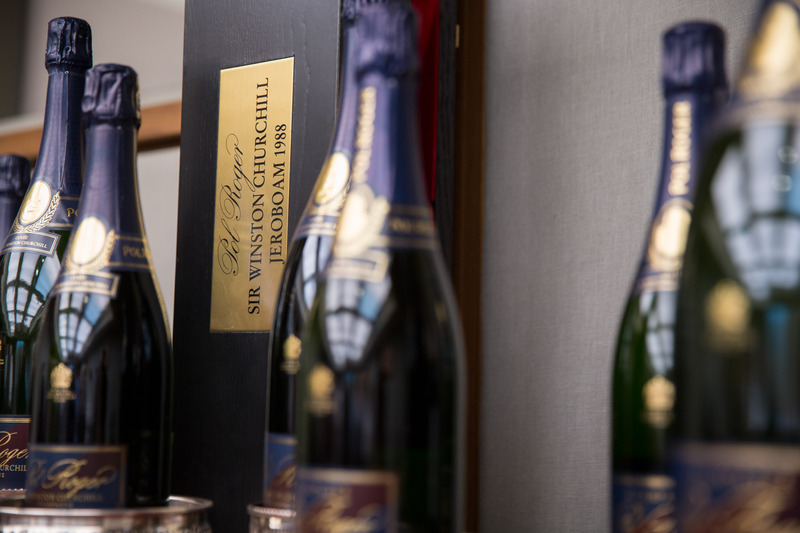 The champagne had orange blossom and toast notes on the nose and the palate had great depth and length, with flavours or orange and hazelnut which lingered in the mouth. I am a little stumped here could this be the 2002 in bottle? 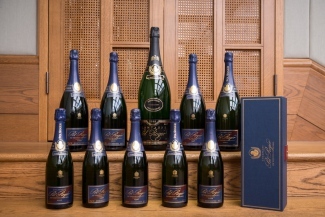 Or perhaps it is the 99 in Magnum. 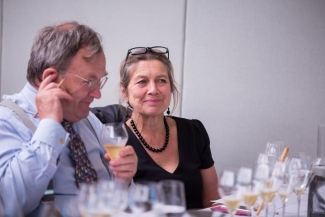 Let me try the next champagne and see. 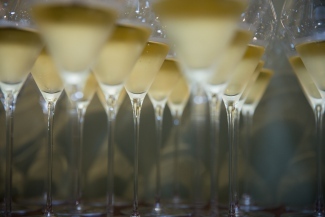 This was more golden-yellow with a lively stream of bubbles. Aromas of freshly squeezed lime are reinforced on the palate, great structure and length, this is delicious too. 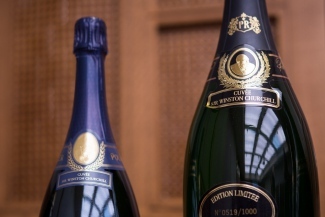 Now this could be the 1999 in Magnum or the 2002 in bottle, okay which is it? 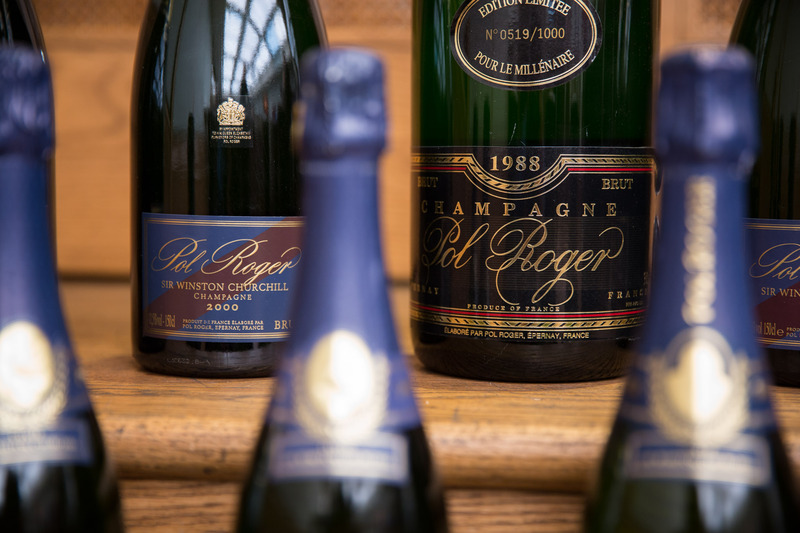 I got this the wrong way round the 1999 in Magnum was drinking so wonderfully well and showed a little more youth but both champagnes were stunning. 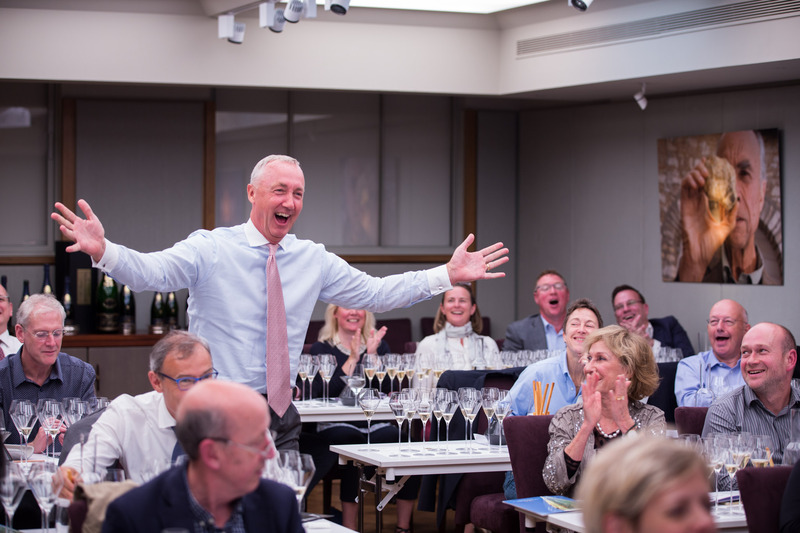 All the guesses were added up and the highest number of votes believed that champagne 5 was either the 2002 bottle or 1999 Magnum and number 6 the same! So 50% were correct. 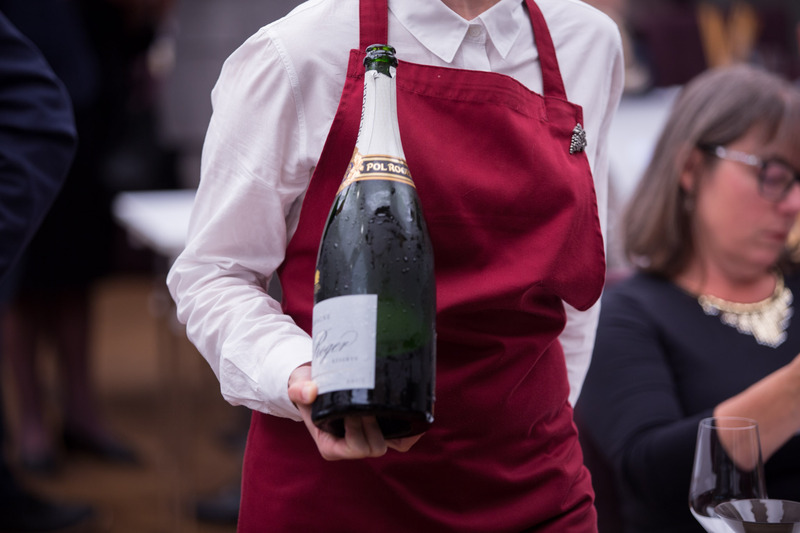 We are down to the last 4 champagnes now, but those pesky Magnums are totally throwing me off kilter and then there is the Jeroboam to factor in. 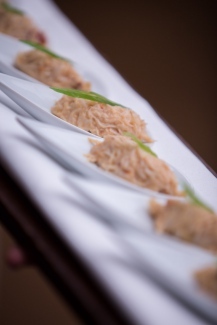 Champagne 7 is rich and golden with a delicate mousse of tiny bubbles. 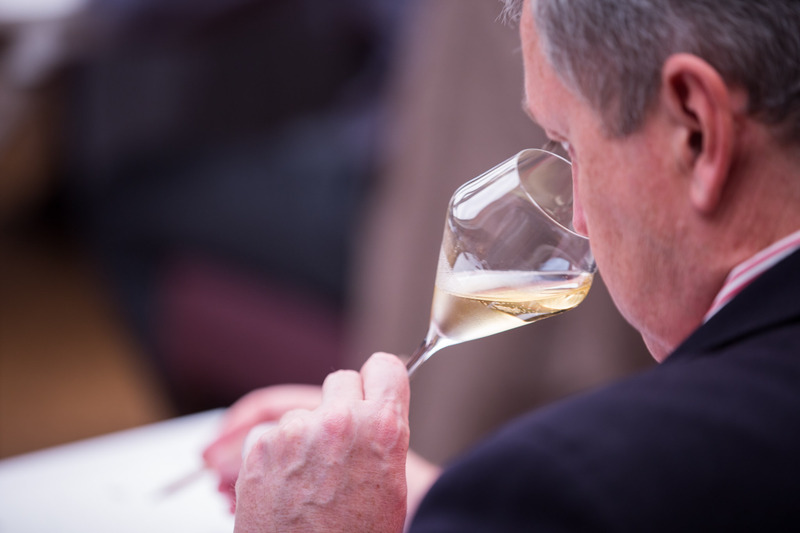 The nose has quite a nutty, hazelnut and yeasty character. 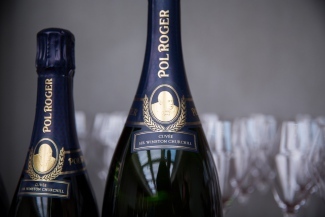 It has fresh acidity and is quite full-bodied. Still showing some youthful acidity and apple notes on the finish. 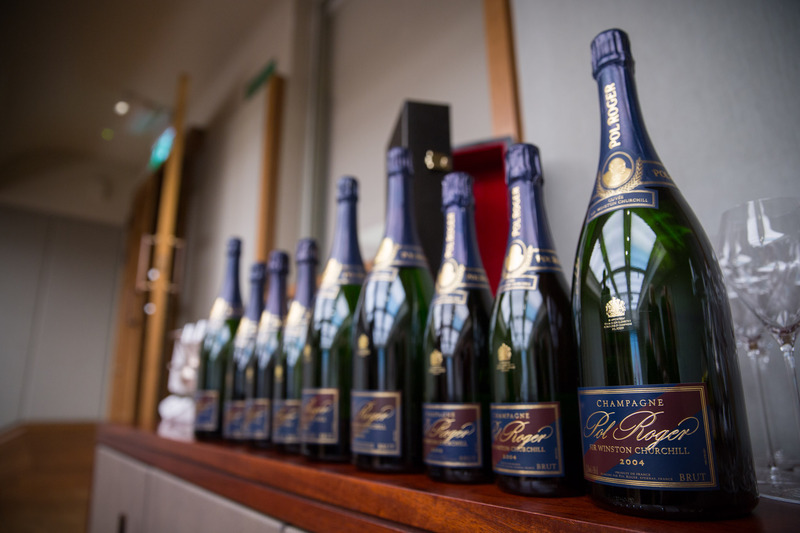 But with such a deep golden colour and yeasty, toasty notes it is more likely to be the 1998 magnum or the 1999 bottle. 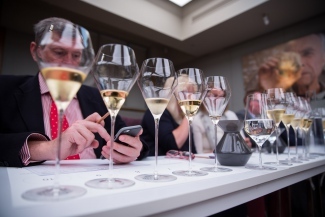 Moving on to champagne 8 which was very dark golden in colour with fine bubble. 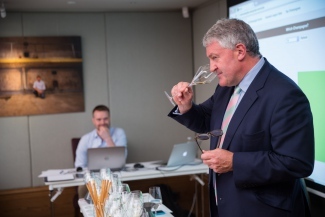 At first sniff it had a slightly odd nose to it, almost reminiscent of rubber and spice. However on the palate the champagne displayed some custard and cooked apple flavours with some hints of hazelnut. 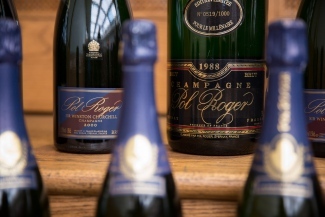 I really am not sure what this one is but it does have some age so I am going to guess at the 1988 and the previous champagne the 1998. 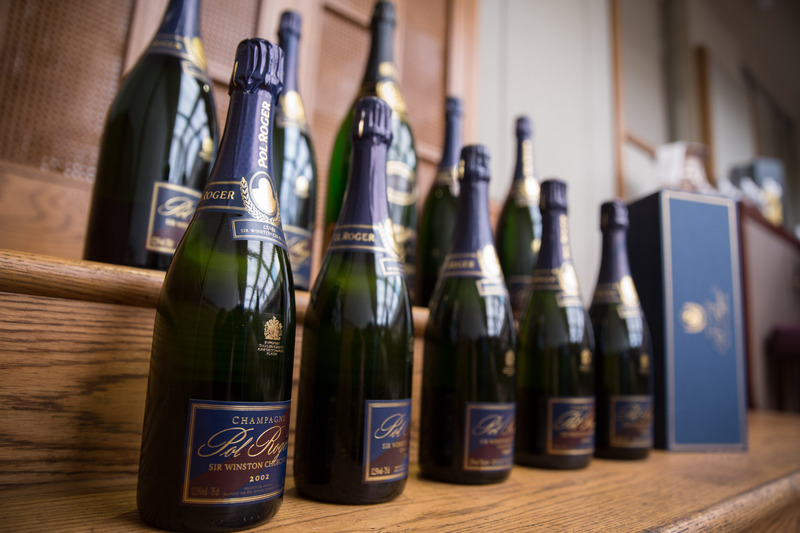 Now with so few champagnes to choose from the guesses should be getting a lot more accurate, this time the majority of votes were for the 1998 Magnum being the first champagne and 1988 Jeroboam being the second champagne. 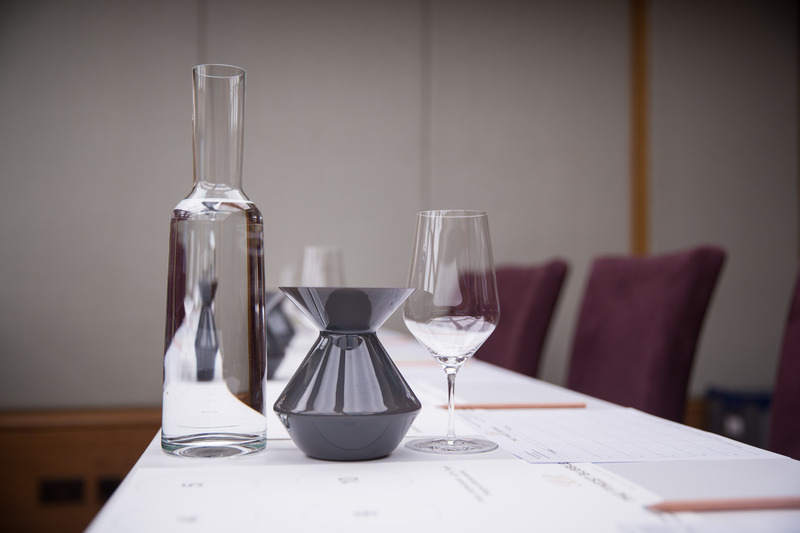 However, those pesky large format sizes have not made it easy! The last two champagnes were handed out and my job now was to get the vintages in the right order! 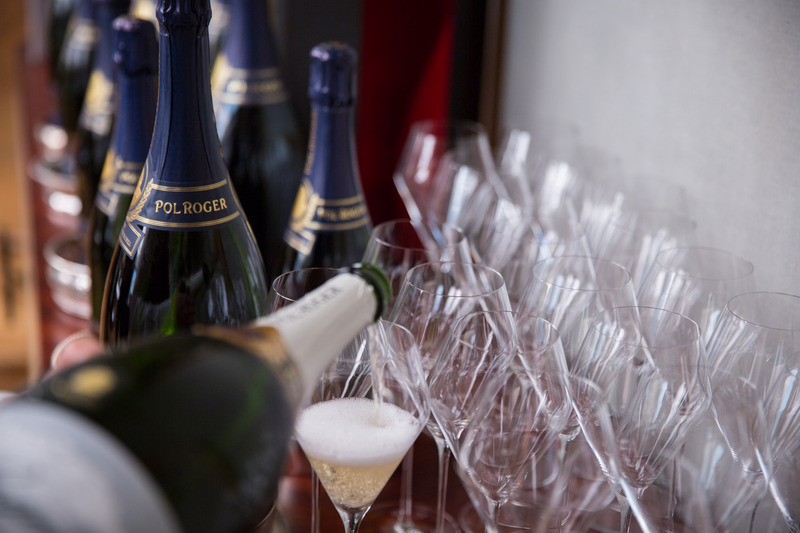 Easier said than done as yet again we had a magnum in there. 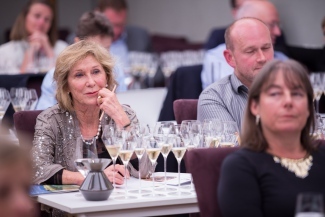 The first champagne was deep yellow gold on the nose there were hints of honey and some floral notes. 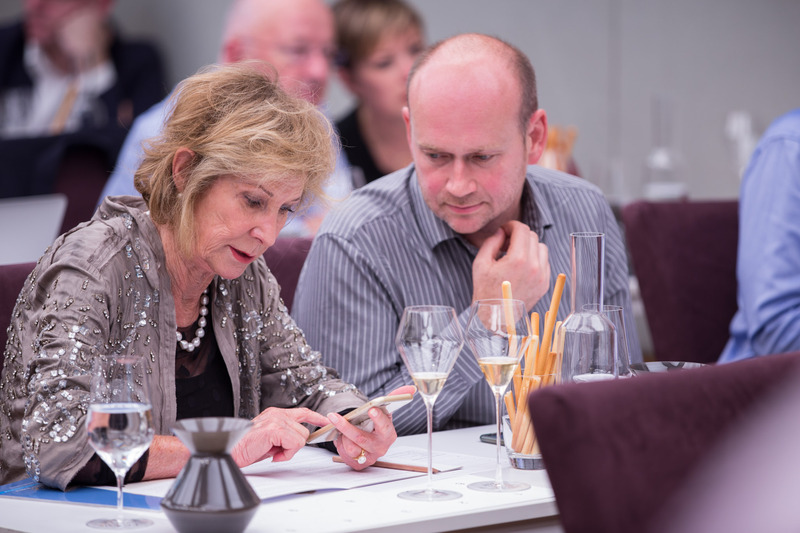 Lots of intense flavours on the finish which lingered on the tongue. Sadly we had now reached the final champagne, this was fairly golden in colour with a stream of fine bubbles. Dried fruit and almonds with a touch of honey. 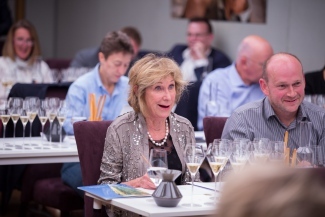 On the palate there were some peach fruit characters coming through. 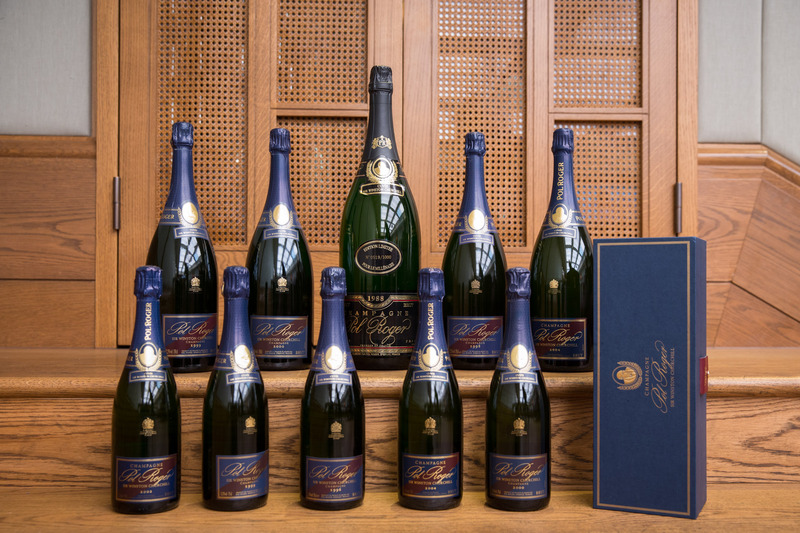 My guess here would be the 1999 bottle followed by the 2004 in Magnum. The room now only had two champagnes to get in the right order and the largest proportion guessed correctly. 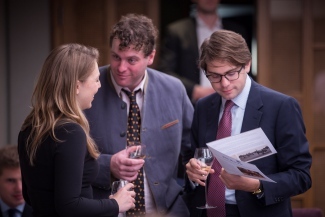 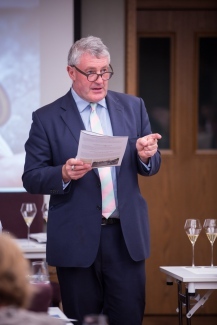 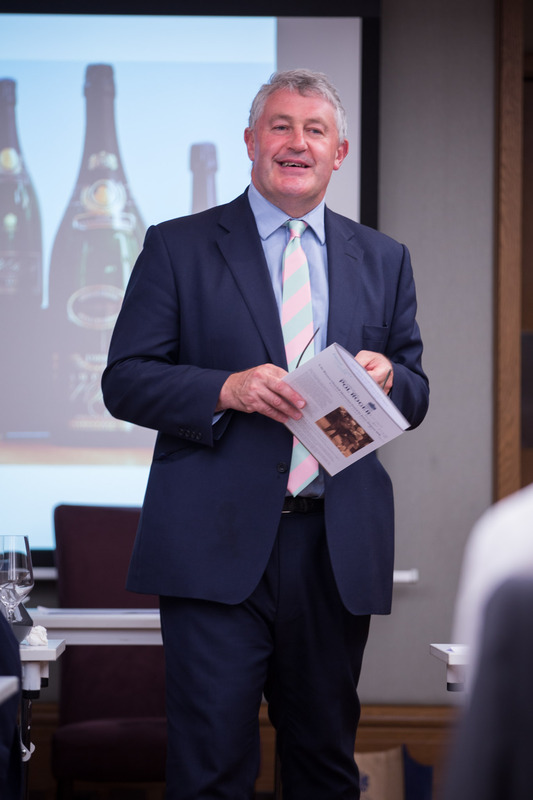 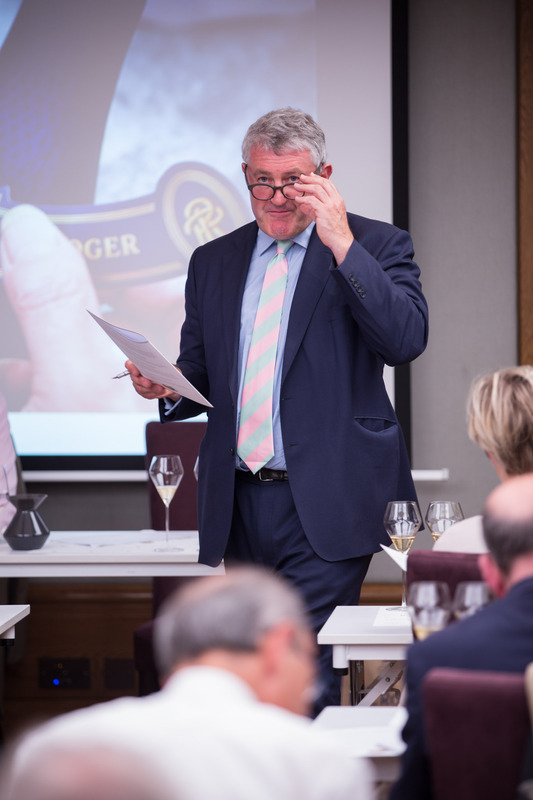 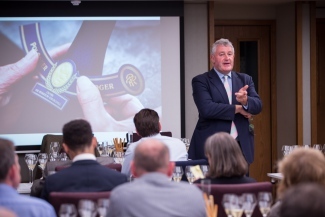 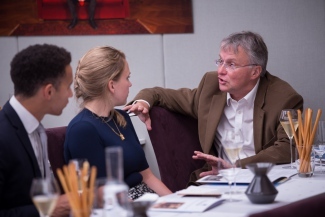 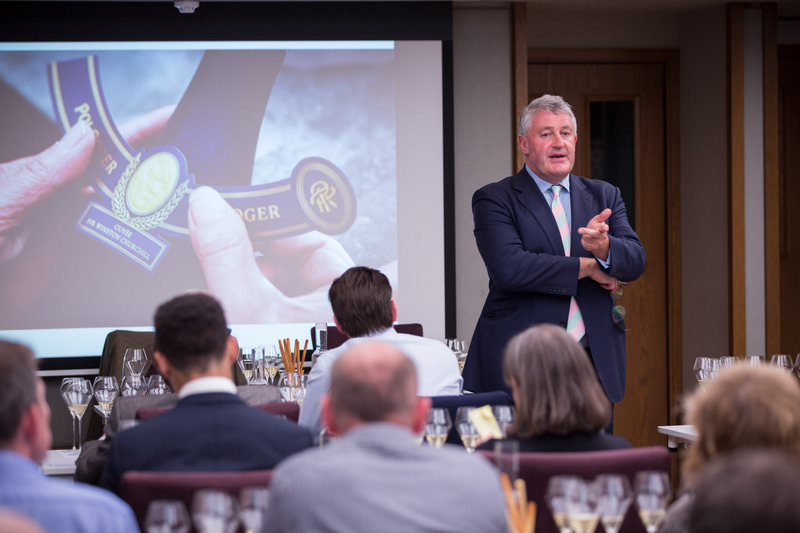 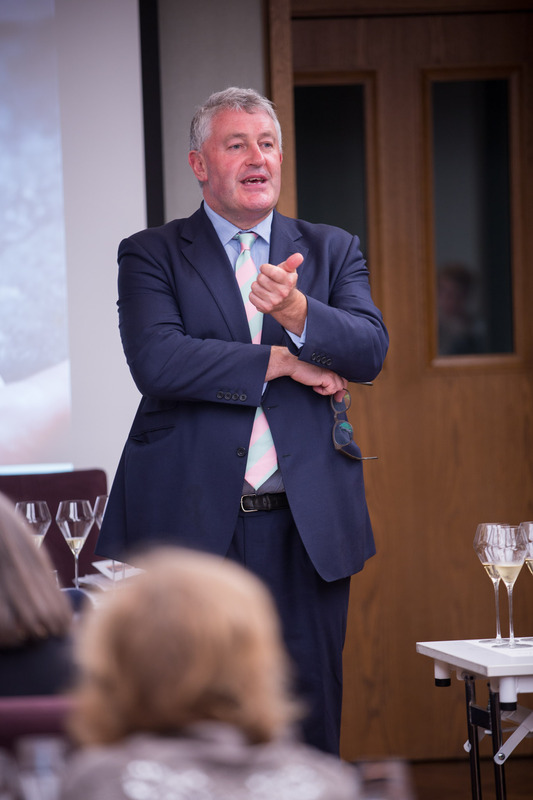 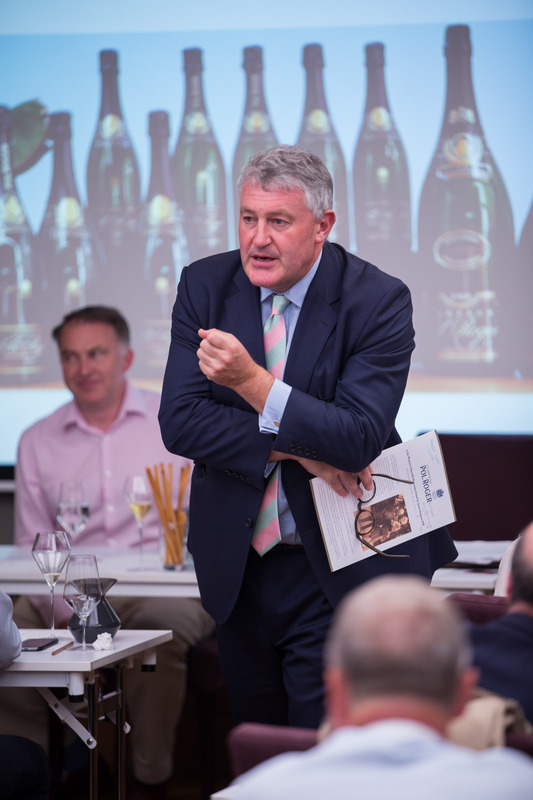 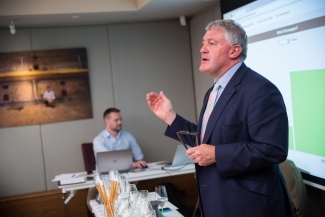 The whole evening was wonderfully led by James Simpson from Pol Roger UK, who gave us no end of anecdotes and information about Sir Winston Churchill and the Pol Roger family. 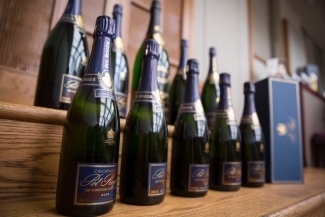 If I had to sum up the night, the champagnes were sublime,( if a little hard to establish their vintage due to the different bottle sizes). James was incredibly knowledgeable and very entertaining and 67 Pall Mall staff did a sterling job as usual. 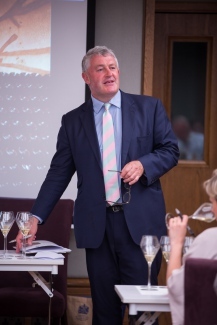 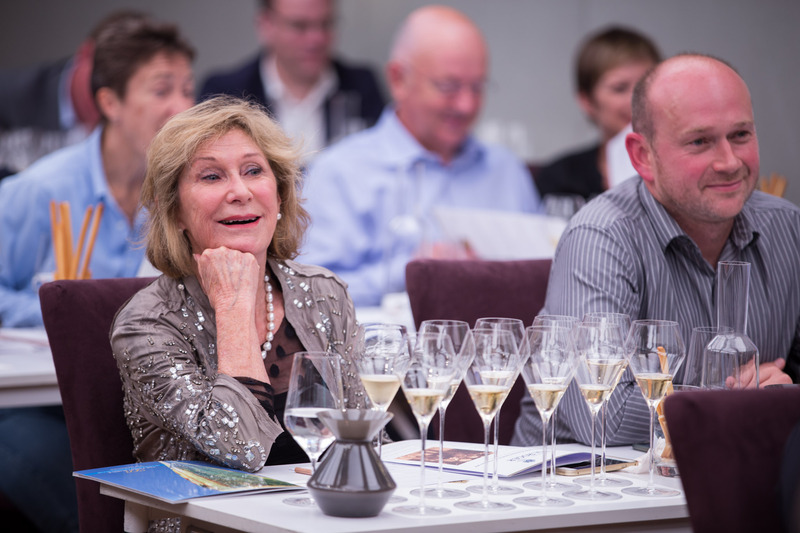 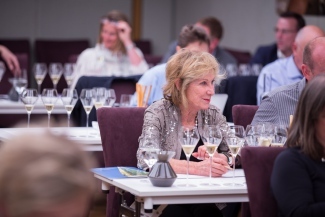 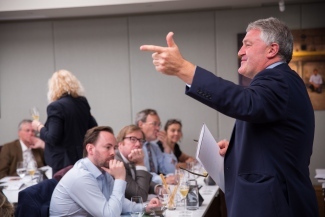 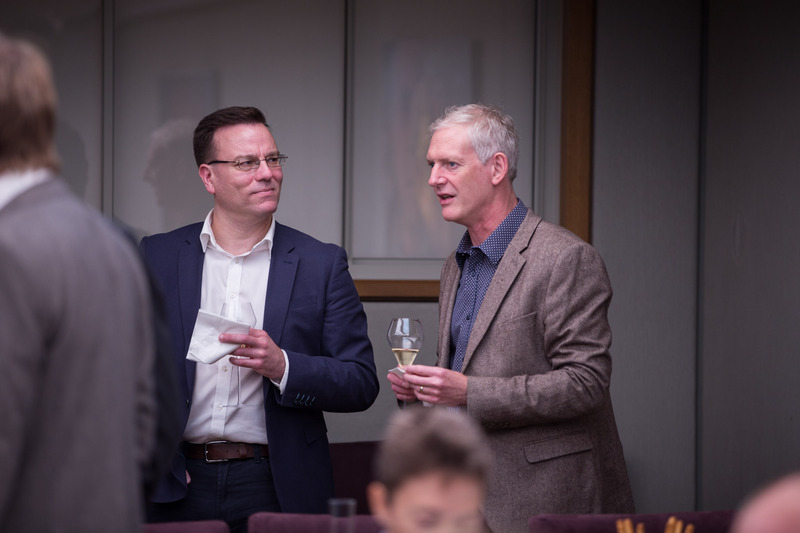 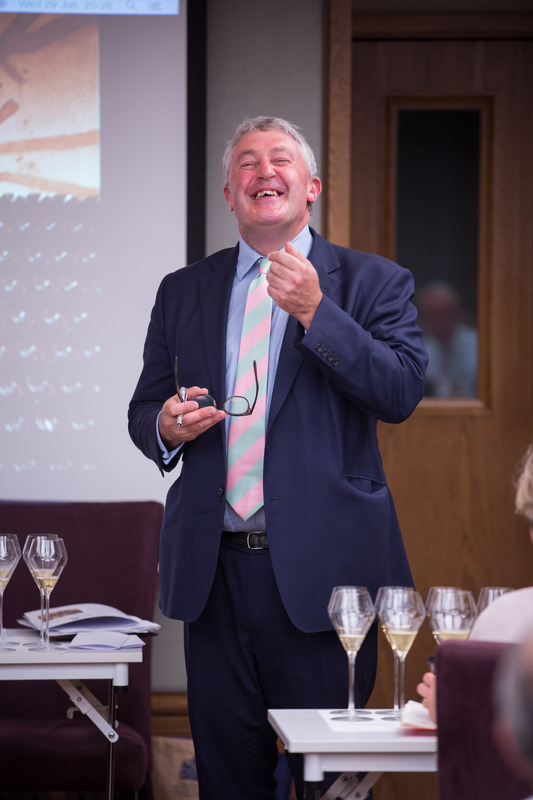 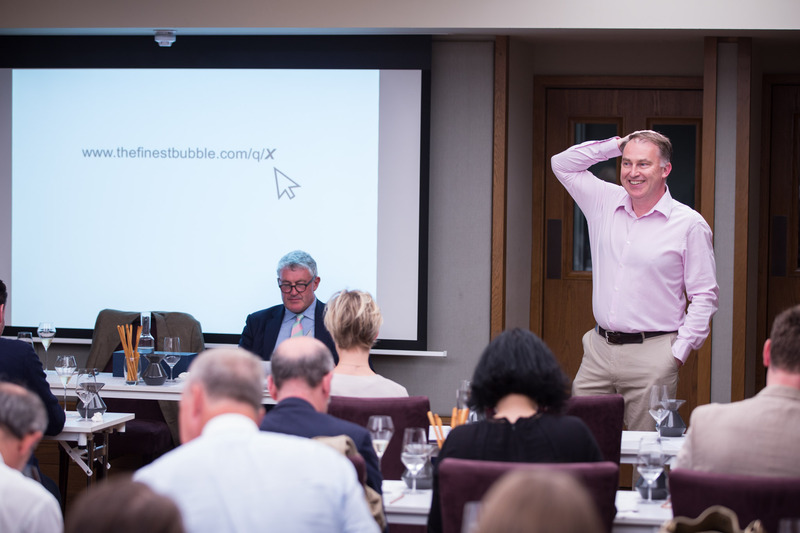 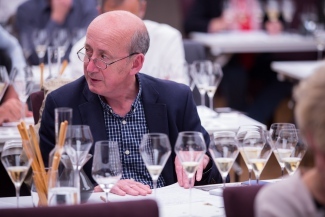 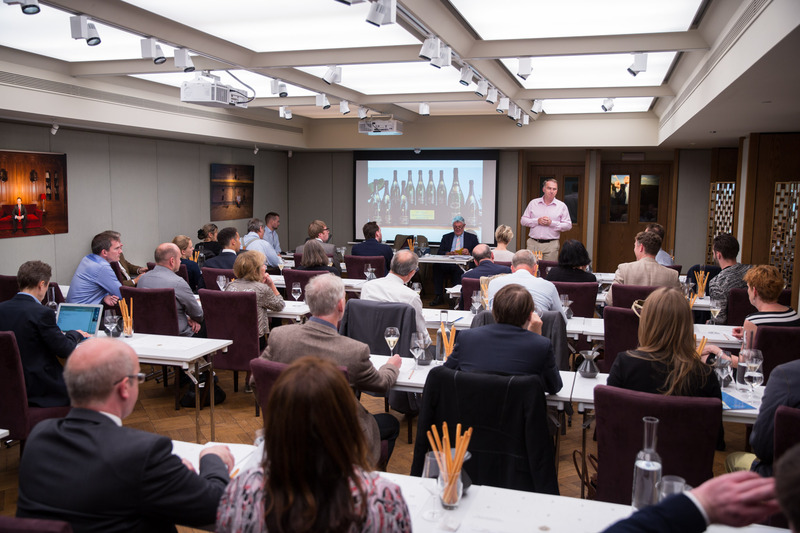 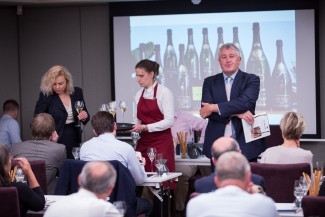 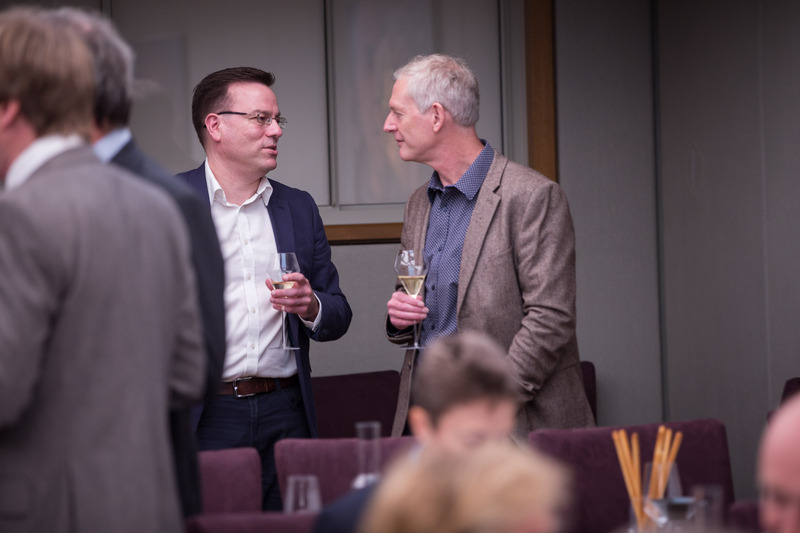 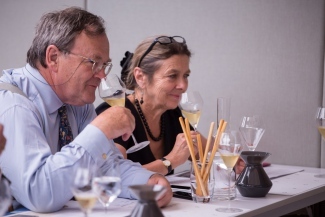 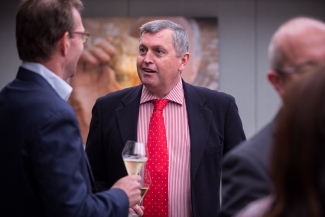 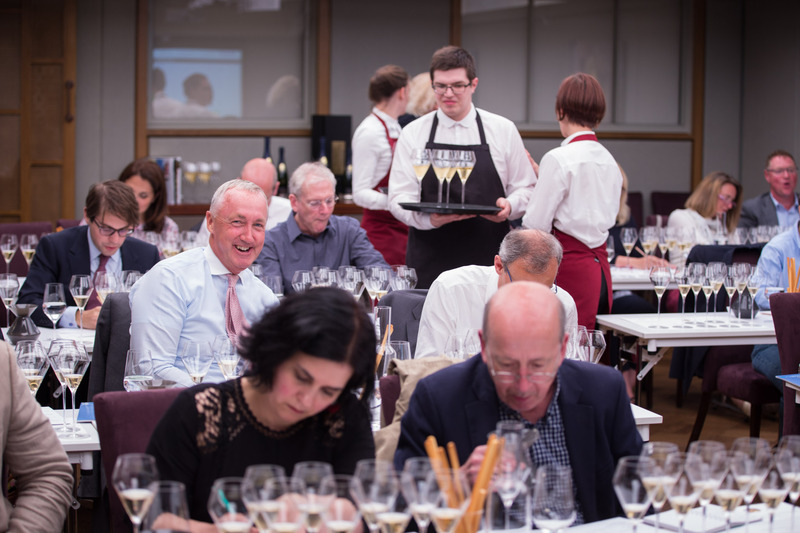 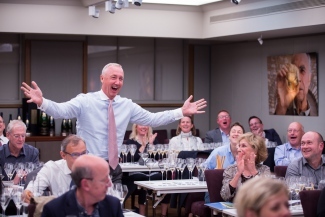 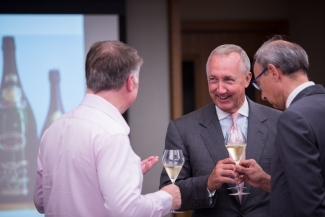 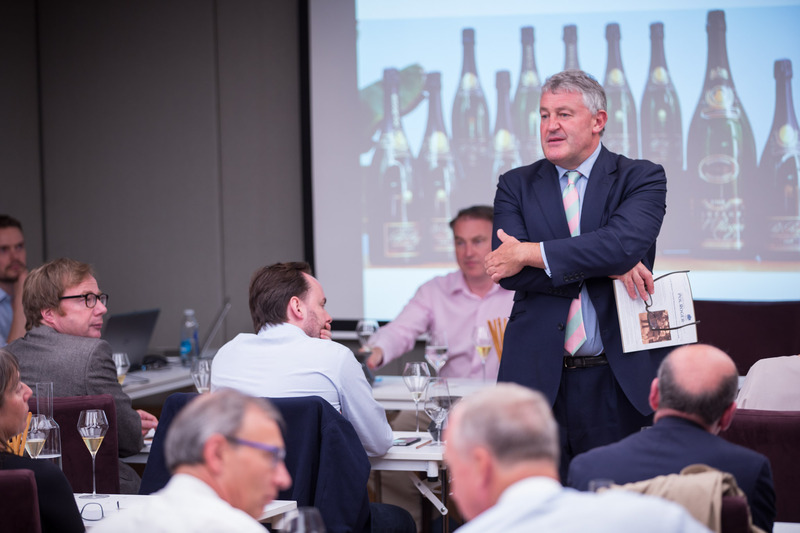 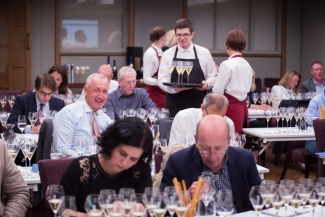 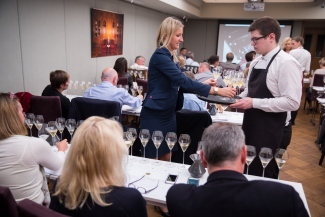 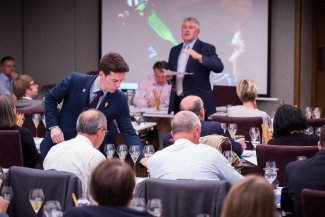 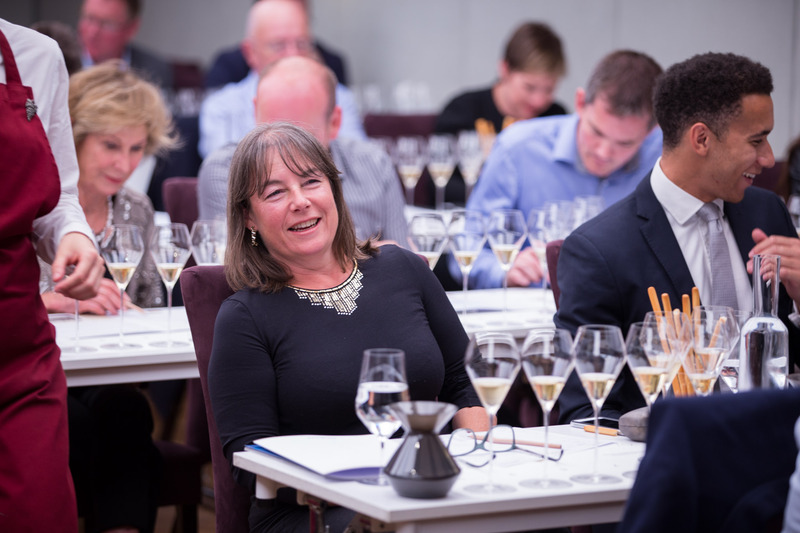 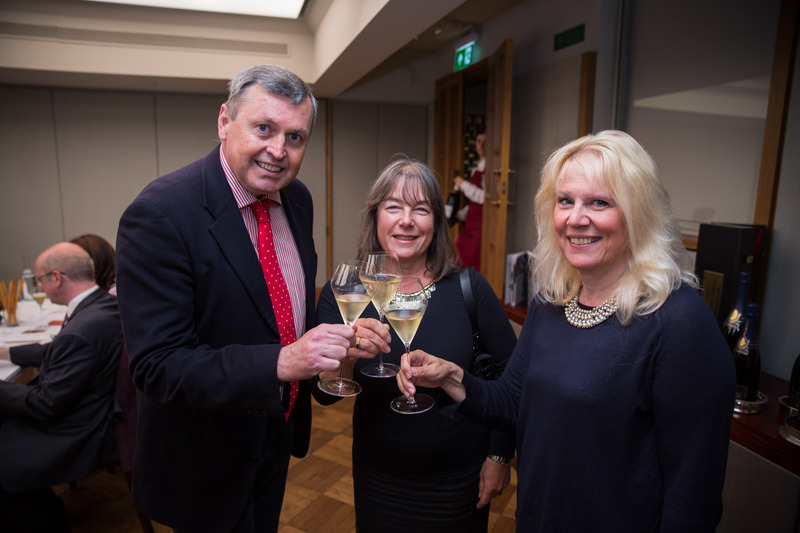 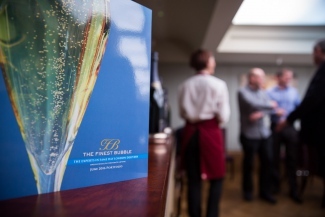 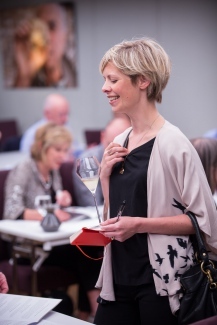 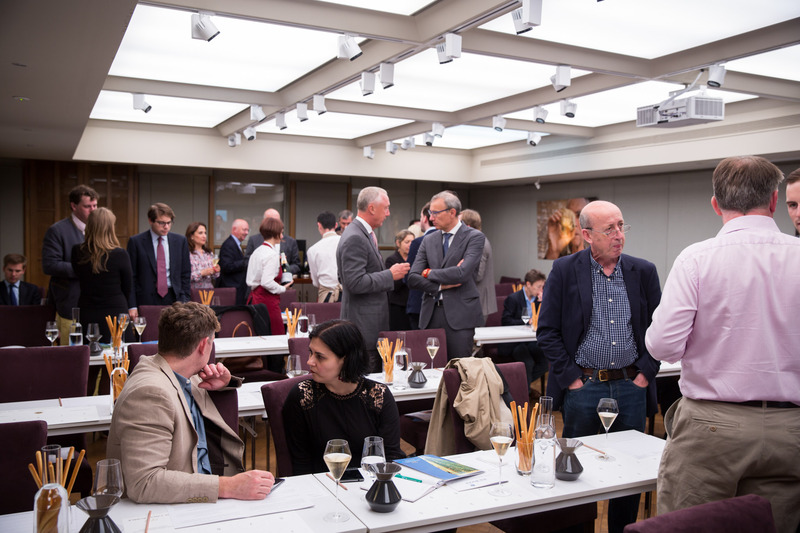 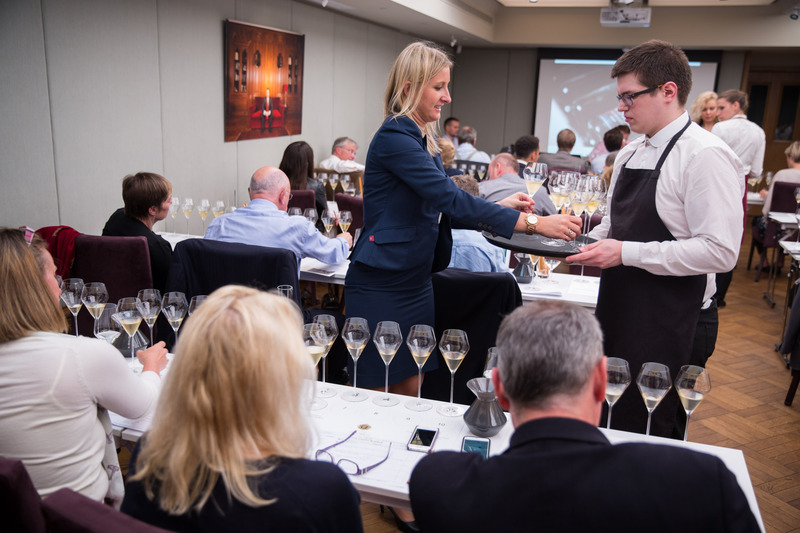 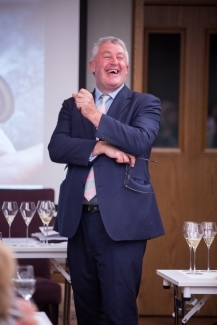 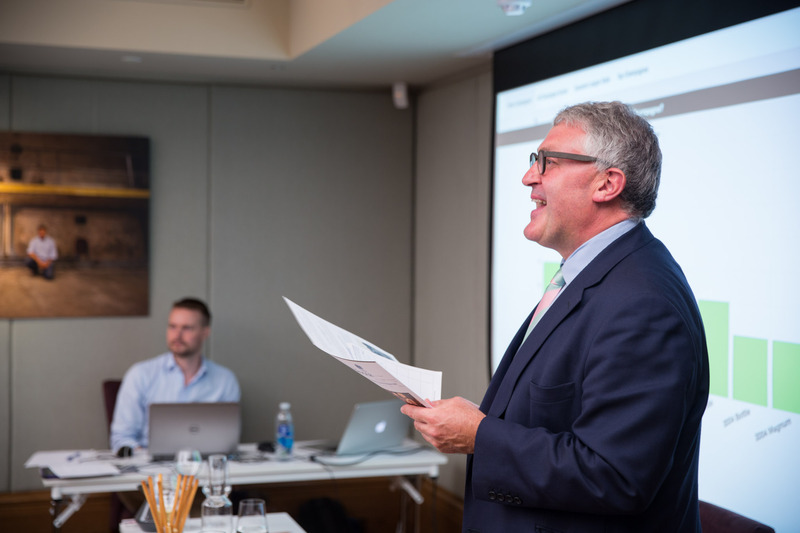 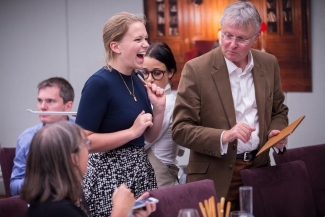 TFB love holding these events and meeting their customers and we now look forward to the next one October 6th with Jancis Robinson guiding us through a tasting of all the main prestige cuvées from the amazing 2002 vintage. 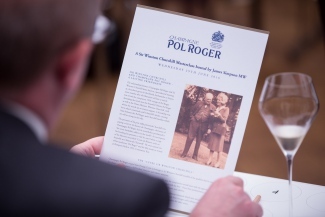 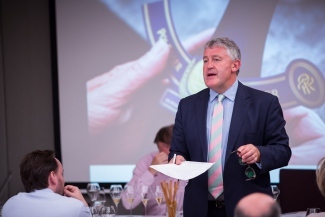 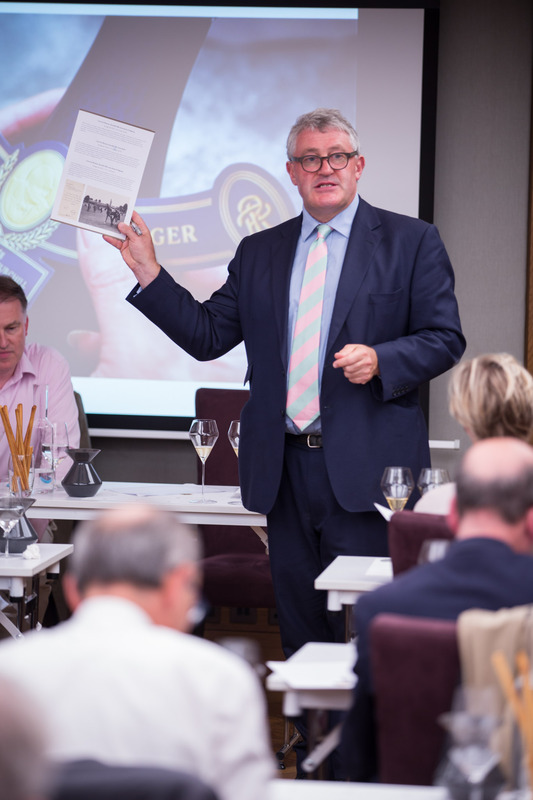 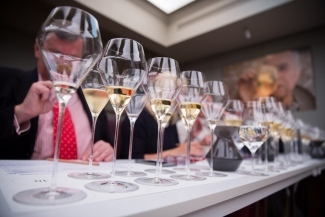 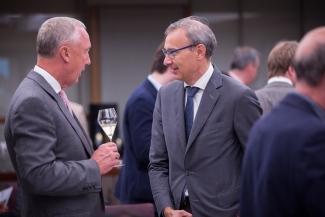 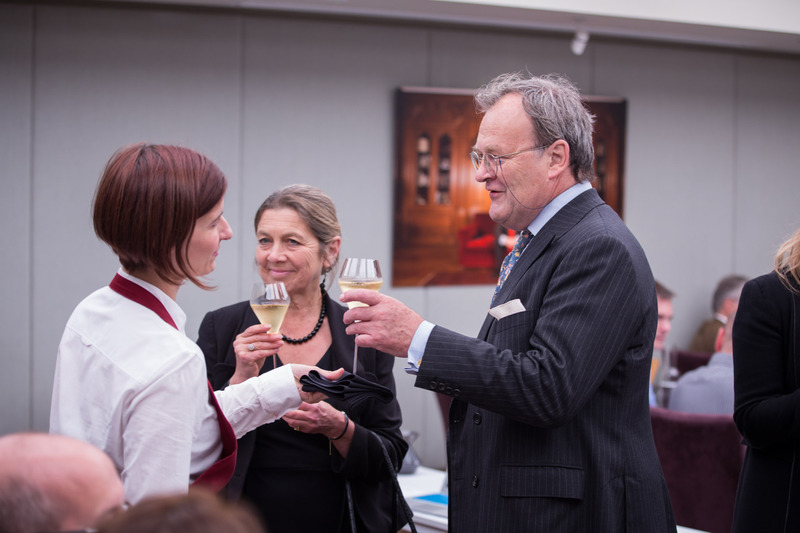 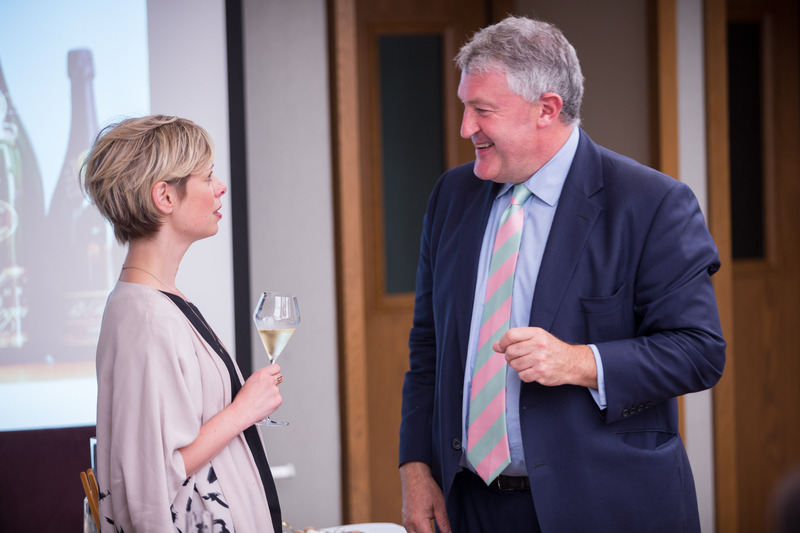 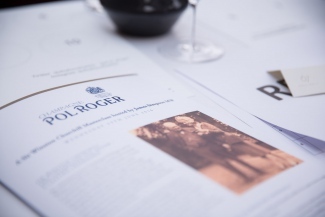 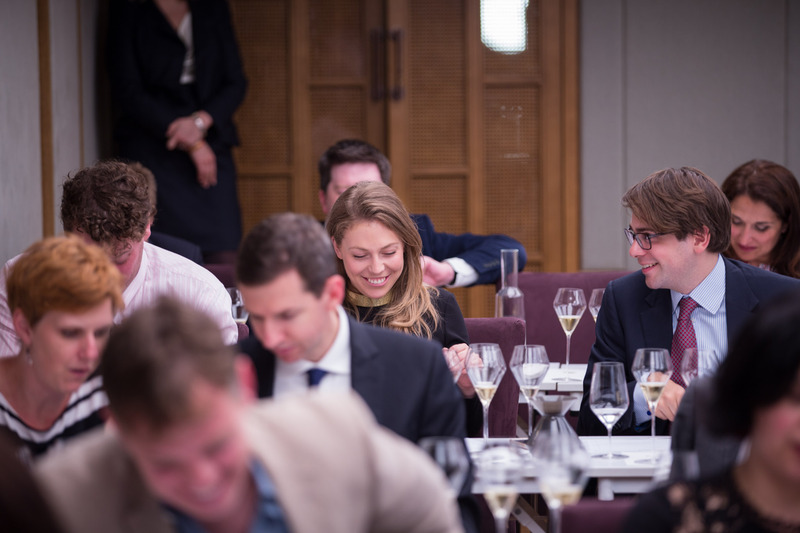 Photographs from this magnificent tasting of Pol Roger Sir Winston Churchill Champagne seven vintages, ten Champagnes.